Chicago Riverwalk just east of the Dearborn Street bridge. 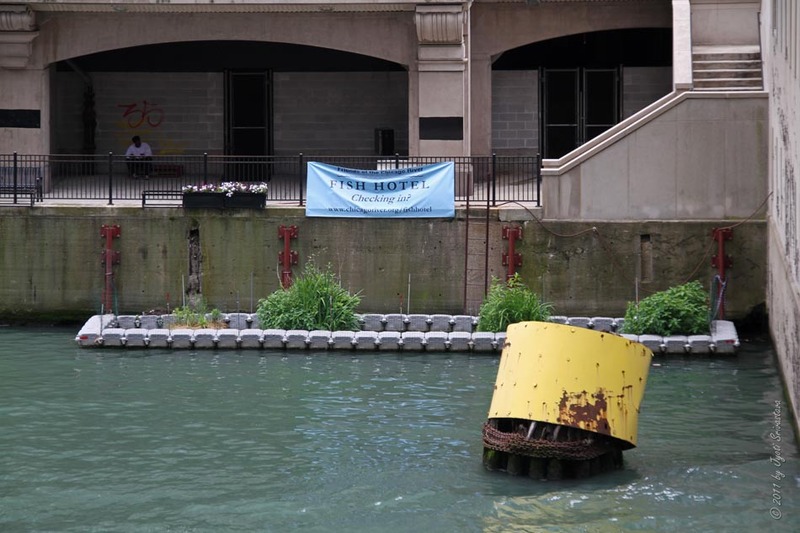 The Fish Hotel opened in 2005, at the southwest corner of Michigan Avenue bridge [now DuSable bridge]. 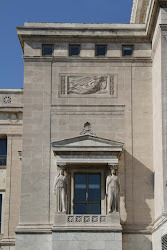 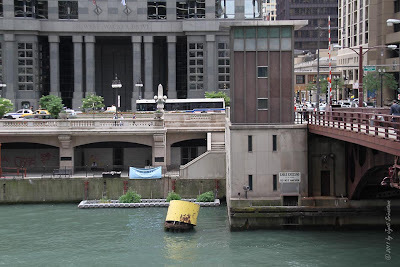 With the construction of Michigan Avenue underbridge, it was moved to the Dearborn Street Bridge, in 2008. 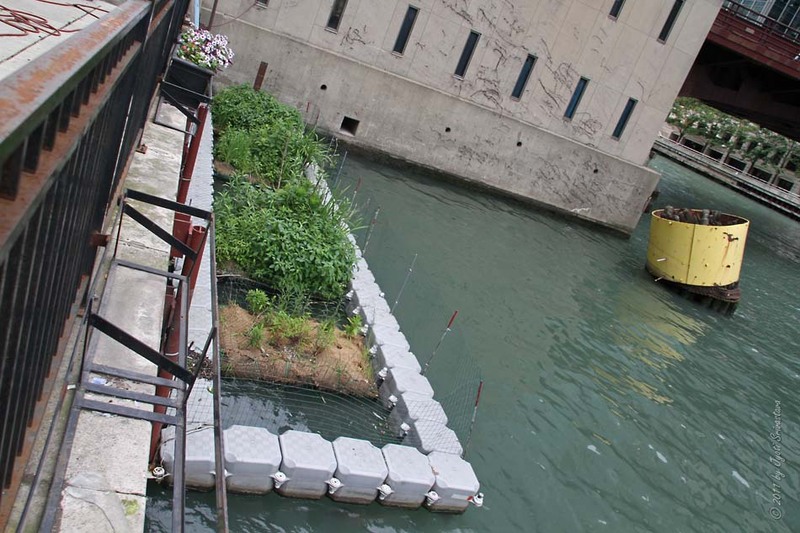 It was started as a pilot project by Friends of Chicago River, a non-profit organization. 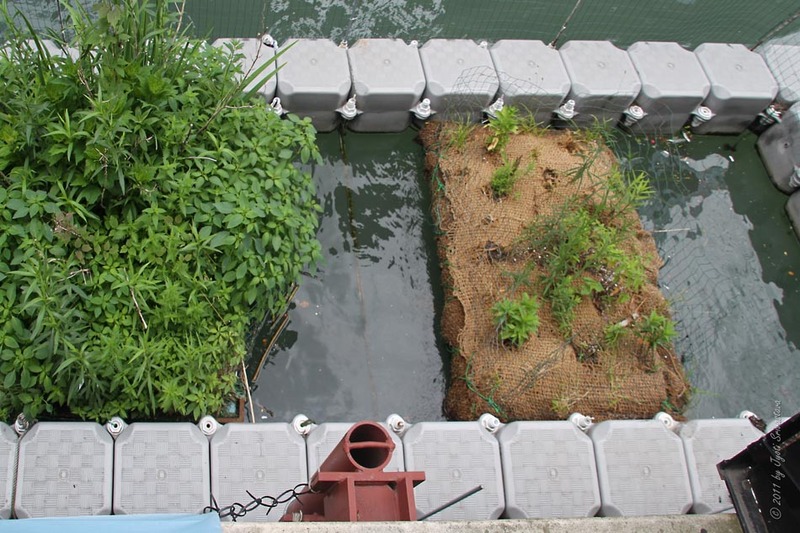 The hotel is a combination of floating and submerged islands anchored to the steel walls lining the river. 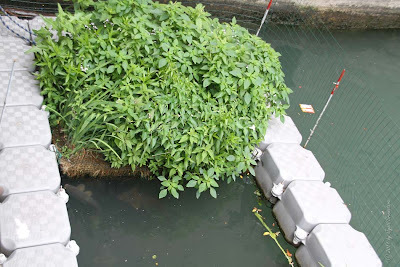 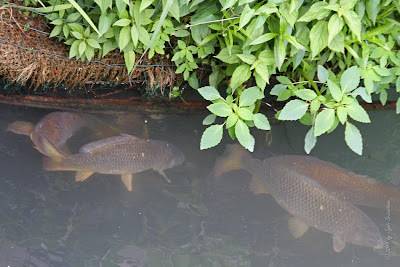 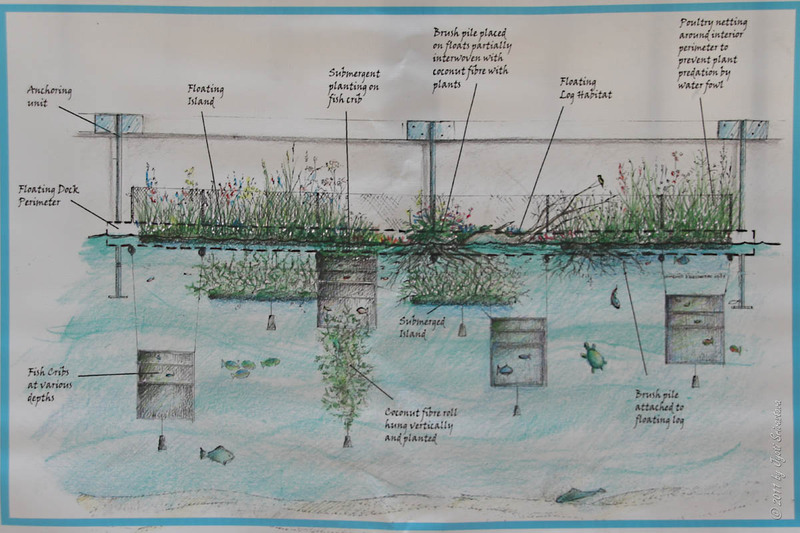 Islands are planted with wetland vegetation that will provide shelter and attract insects and other food for a variety of fish species..
- Monifa Thomas, staff reporter of Chicago Sun Times..
Hotel hopes to lure fish back to downtown, click here..
Friends of Chicago River website, click here.. There are floating islands, submerged islands, submerged fish-cribs, floating water logs, poultry netting to prevent plant predation by water-fowl.. Click on the image below to see enlarged version of what lies beneath..
What lies beneath.. click to enlarge..
# Chicago Riverwalk, click here..
# Hotelhhopes to lure fish back to downtown, click here..
# Friends of Chicago River website, click here..
Chicago: Summer in the city!